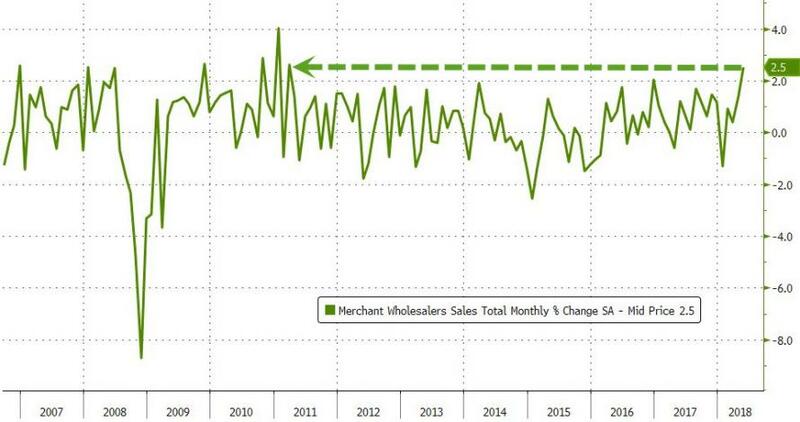 In a sudden surge, out of the recent ranges, Wholesale sales soared 2.5% MoM in May - the biggest jump since March 2011 - suggesting pre-emptive buying ahead of Trump's tariffs (as opposed to a new trend). Farm Products and Computers saw big sales surges MoM in Mat as it appears wholesalers bought in inevntory ahead of the expected (and now fact) trade tariffs. 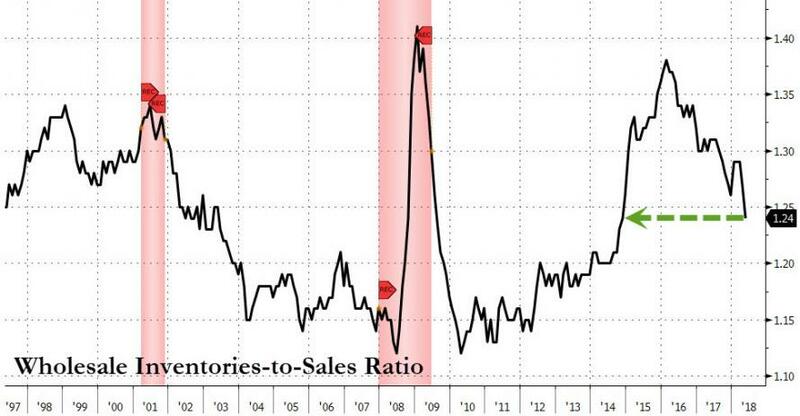 Wholesale inventories also accelerated notably (the highest YoY since Nov 2014), and Wholesale inventories excluding oil rose 0.5% in May. And no recession in sight, right? The question is - what happens next month when that dragged forward sales evaporates?